and bring new shoppers to our website. by helping us hit our CPA goals consistently. Reaching millennials who are not as familiar with our brand has become considerably more challenging. Through the ability of accessing the audiences of our key retailers and those browsing for travel accessories, second-party data has helped us reach the right audience and expand Canon’s brand message. ownerIQ enables Maytag and all Whirlpool brands to securely and transparently grant our retailers access to our own audience data to run co-branded ads. ownerIQ’s platform helps us maximize our valuable data asset of in-market appliance shoppers, empowering retailers to use our data and drive more shoppers to their showrooms to buy Whirlpool products. As a manufacturer, data-driven marketing is crucial to the future of our business. With many high-quality brands competing in our space, we need an in-depth understanding of both our customers and the initiatives that resonate with them to design better products and grow our brand. Data partnerships help us accomplish these goals. The ability to target the Toys “R” Us audience of parents was exactly what my brand needed to succeed in this campaign. We saw tremendous results after exposure, exceeding our ROI goal by more than 5x. Hats off to ownerIQ for being one of the leaders, along with Adobe, in quickly determining the particulars of second-party data. It’s always a challenge to find new ways to add tangible value to customers, and effectively using second-party data is key for achieving success. The Marketplace gives us a unique opportunity to test our message against the consumers of other relevant brands. Initial results show that our message is resonating with these audiences and driving new customers to our site. Having access to this kind of information in a controlled and custom marketplace is a huge benefit for us. With ownerIQ, we were interested in the ability to target second party data creating a unique pool of relevant shoppers we wouldn’t be able to reach elsewhere. The platform transparency allowed us to monitor our campaigns and see which data sources worked the best or needed to be changed. In addition, ownerIQ’s communication and customer service gave us peace of mind that we had experts on our side. ownerIQ is a great partner for us because they are able to deliver results aligned with our key initiatives of acquiring new customers, increasing consumer engagement and sell-through in our retail channel. ownerIQ is an extremely valuable attribution partner for Logitech. They have provided our brand teams SKU and brand level basket insights that help drive product and creative decisions for retail. Working with ownerIQ to target NewEgg’s audience of tech and gaming enthusiasts helped us to achieve our goals and get in front of the right consumers that we wouldn’t have otherwise been able to target. We’re thrilled with the results. We found ownerIQ’s Vendor Targeted Marketing to be a 'no brainer' for our dealers to drive qualified in store traffic, and a turnkey way for our dealers to run online ad campaigns without having to worry about ad creative. Through this exclusive and secure data marketplace, we are aggregating hard-to-find audiences and transforming them into a unique marketing asset. Our companies can leverage this asset to activate highly targeted media campaigns, or generate unique insights about their customers. The B2B buyer audience is unique and highly-valuable, and ownerIQ helps us improve their overall online experience while supporting the vendors that sell on our site. We know our data is secure in their second-party data marketplace, and we can drive value for us, our vendors and our customers. Working with ownerIQ allows Cabela's to enable brands to reach shoppers with relevant, unobtrusive messaging. This helps us create the best possible experience for our shoppers by reaching them with products and services relevant to their interests. Vendor Targeted Marketing from ownerIQ is something you can’t do with any SEO or Google adwords campaign, Yelp reviews, website takeover campaigns, website banner ads or the innumerable online campaigns touted by every radio, TV, newspaper and online media company in existence. Working with ownerIQ's secure data-sharing platform, Quill is able to provide our vendors with the second-party data they are looking for, which enables them to build mutually beneficial and highly-targeted advertising campaigns. Thanks to our ownerIQ partnership, we were able to increase traffic to our website. Our dealers' campaign results are impressive. The cost per visitor is more efficient than our cost per click from our Google Adwords campaign. It's important to us to support our vendors and create the best shopping experience possible for our customers. Working with ownerIQ allows us to share online audience insights with interested advertisers, ultimately creating a better overall experience for our shoppers. Now, our vendors can support one of their key selling channels by having the opportunity to reach shoppers who are relevant and in-market, and we have a secure environment to enable that. ownerIQ has helped us grow and scale tremendously finding customers Spotix never had a chance of getting in front of. Since partnering with ownerIQ, we have seen a 21% increase in orders; a 17% increase in order size, and 24% increase in revenue as whole and because of that we doubled our team size and moved to the a new space. As a data partner for ownerIQ, we truly understand the value of shopping data and the insight it provides into what a consumer is going to purchase next. We were excited to take advantage of the other retailers in their vast 2nd-party data pool, specifically in reaching niche audiences specifically related to our business that are likely in market. Combining the quality of 1st-party data with the scale of 3rd-party data allows us to be effective in our media spending, and ownerIQ has provided value in growing the acquisition side of our business. ownerIQ has been fantastic to us. They're driving customers to our site who are after the instruments that we carry. We're seeing increased turns and doing more business because our ads are targeting buying customers who have visited our brands' websites. Now, we're continuing to invest more of our ad budget because of the proven ROI. I just wish more brands worked with ownerIQ so that we would be able to capitalize on this great technology even more than we already do! After seeing tremendous success running campaigns with ownerIQ, we signed up our sister store and now we use ownerIQ as an always-on marketing strategy to drive quality in-store and web traffic. ownerIQ helped us drive and increase traffic and bring new shoppers to our website. This has helped us expand our prospecting efforts during our busiest summer months. We look forward to accessing more transparent data for continued digital success with ownerIQ. One of the reasons that we love working with ownerIQ is their top-notch client services organization. Their response time and ability to adjust campaigns or creative on the fly are incredible. ownerIQ has been a valuable partner in helping us not only reinforce our branding online but also providing us the opportunity to work more closely with our preferred brand partners. Our ad campaigns have helped us bring product awareness and drive traffic into our showrooms. At Universal McCann, we’re result-driven at the core. We love that ownerIQ operates the same way. Our partnership allows us to seamlessly do what we do best: perform and drive meaningful results for our clients by using second-party data. An example of this is a top shipping and mailing services client recognized us a top performer for ROAS (return on ad spend) on the campaign, showing ownerIQ's ability to perform when it matters. I would recommend ownerIQ for other brand teams across the agency. 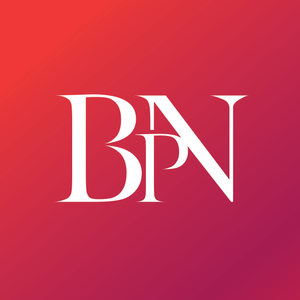 At BPN, our top objective is to provide our clients with strategic thinking and data-driven results to deliver effective integrated marketing campaigns. We believe in using the right partner to deliver the core consumer audience to achieve the brand's goals. ownerIQ’s second-party data platform had just what we were looking for when we sought out specialized audience data sets. For one client, ownerIQ’s premium auto data delivered an exceptionally impressive 85.69% video completion rate. We were looking for somebody to bring something different to the table in terms of the set of data that would add to what we were doing. That’s where ownerIQ came in, where they said, "We have these partnerships with retailers, and brands. We can get you on a new set of data that no one else really had." Overall, ownerIQ for at least a few clients has been one of our best performing partners. ownerIQ not only has massive amounts of exclusive second party shopper data, they also have extensive capabilities to measure online to offline sales. Their team was very consultative in helping us choose the right measurement partners and had a lot of expertise in how to set the campaign up for success. We look forward to working with them on multiple campaigns in the future. ownerIQ has made us smarter and more effective digital marketers by arming us with rich insights into our core audiences and by building a data sharing and activation framework to efficiently engage them. ownerIQ has proven to be a true difference maker whose value extends way beyond just media buying. In an industry where the phrase “data is king” is thrown around by everyone from thought leaders to entry level marketers, it does seem a bit ironic that the bulk of available targeting data is largely an unknown in composition and quality. At this moment in advertising, the quality of non-proprietary data is, simply put, bad and ineffective. In this sense, ownerIQ is a diamond in the rough. No matter what the client’s goal is, I know that the quality of their data will be a cornerstone of our strategy and a major contributor to providing results. While at Universal McCann and working on ExxonMobil, our partnership with ownerIQ allowed us to reach highly qualified prospects across specialized campaigns targeting in-market audiences; in this case, Automotive Shoppers. ownerIQ’s second-party data technology is dynamic and entirely audience driven. Thanks to ownerIQ, we were able to consistently generate proven results for ExxonMobil. As a multifaceted strategy and creative agency, Barkley wears many hats. We run numerous campaigns with very different and often aggressive goals. ownerIQ’s second-party data solution has made our lives easier by helping us hit our CPA goals consistently. Not to mention, their customer service and response time is top-notch. Thanks to ownerIQ for consistently delivering impressive results and allowing us to help our clients succeed. We came to ownerIQ looking to drive consumer interest for a more efficient product for our energy solution client. ownerIQ’s experience in appliances as well as their ability to reach consumers using a more accurate location targeting approach proved unrivaled. Not to mention, their access to huge amounts of active shopper data and audience insights was key for viewing and ultimately understanding our delivery outcomes. ownerIQ's support system is second to none. The team is always solution oriented and treats everything with urgency, understanding the needs of our clients including the recent Mastercard campaign. We know we can always count on an outstanding customer service. A successful shopper marketing campaign drives results and combines online, in-store and offline marketing, this is exactly what ownerIQ helped us do for a well known Cottage Cheese brand. ownerIQ’s always-on campaign delivered strong sales outcomes for multiple retailers and CPG brand. First-party data is easy. You follow that guy from the website. But second-party is that extra spoke in the wheel. It opens up a lot more opportunity. It's a good awareness driver. It's just as relevant [if not more] as first- and third-party data. They complement each other very well. Amazon ads for a nonprofit client were outdone by campaigns on ownerIQ’s programmatic systems. Amazon was not a top performer, we didn’t consider trying it again. Two non-competitive travel advertisers came to Xaxis looking to establish a controlled data sharing partnership. We quickly realized that there is a missing link needed to set up this type of a relationship. That link is a second-party data platform which gives advertisers an easy way to control and negotiate the terms of their arrangement. Want to learn more about how you can drive sales with ownerIQ's solutions?